73-Year-Old Woman Injured in Car Crash On Crosswalk | Schuler, Halvorson, Weisser, Zoeller & Overbeck P.A. 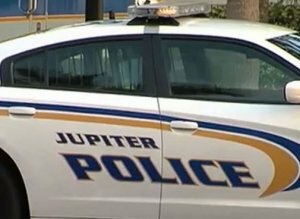 A 73-year-old woman was seriously injured after she was struck by a car on a crosswalk along West Indiantown Road in Jupiter. A senior citizen was hospitalized with serious injuries after she was struck by a car along West Indiantown Road in Jupiter. Police say the 73-year-old woman was using a crosswalk when a white Hyundai Accent rammed into her. The driver of the Hyundai Accent was said to be traveling eastbound on West Indiantown Road. He supposedly didn’t notice an elderly couple crossing the road in front of him. He struck one of them with his car barely missing the other companion. The 73-year-old woman was rushed to the hospital in critical condition. “He just came out from nowhere and refused to take his foot off the gas,” said a driver who witnessed the crash. The driver of the Hyundai Accent was not hurt in the crash. He has been detained by the police for questioning. Substance abuse has been cited as a factor in the crash. Police is conducting a full investigation into the crash.